The exchange of experience conference – ‘Employ me’ will be held from April 4th to April 5th 2017 in Diepenbeek, Belgium. More than 100 participants from 9 countries of EU (Czech Republic, Italy, Spain, Greece, France, Slovenia, Hungary, Romania and Belgium) will present good practices in Roma employment. The campaign aims at informing and raising awareness among relevant stakeholders and Roma people on the importance of increasing employment possibilities in Europe and ensuring equal opportunities for Roma people; a better understanding and improved awareness will help to advocate for the rights of Roma in the labour market (paying special attention to youngsters) and will help professionals, stakeholders and Roma to reduce vulnerability, speed up Roma social inclusion and support the implementation of inclusion strategies at different levels. You can proceed with your registration HERE. Note that the participation in the conference is free of charge. We fight the unemployment of Roma and Gypsies in Europe. The Roma are Europe’s largest ethnic minority, representing 10-12 million people. They are also the most impoverished and excluded minority in Europe, with roughly 90% of Roma having an income below the national poverty level in their country, and less than one in three Roma being in paid employment in 2011. Roma have faced persecution in Europe since the Middle Ages, and still experience widespread discrimination today. In 2005, a group of 12 European countries (from both inside and outside the European Union) launched an initiative called the ‘Decade of Roma Inclusion‘ in an effort to improve the situation. 2015 is the last year of the initiative, and it’s difficult to say that the decade has been a success. Equal and full access to employment is key to furthering social inclusion and combating poverty. Employment is not only a source of income that determines material well‑being, it also builds human capital and shapes survival strategies, relationships between groups and across societies. Just as poverty is not only about money, employment is not only about jobs. This is why the Europe 2020 strategy so prominently reflects both poverty and employment. “CΙRCLE” Action Plan ANATOLIKI SA Greece The “CΙRCLE” Action Plan involved the implementation of measures to promote the employment of 100 persons belonging to the social, vulnerable group of Roma. The intervention area was located within the administrative boundaries of the municipalities of Ampelokipoi – Menemeni and Delta in the Metropolitan Area of Thessaloniki (also called prefecture of Thessaloniki). This area concentrates an important part of the large and small industrial sector, with low employment rates, while significant built-up of ROMA enclaves are recorded. More about the action plan is available HERE. Video of the good practice is produced and available HERE. CRE Italy Supporting the job search for Roma people who live in the city of Reggio Emilia is one of the actions that the Municipality promote to the Roma families’ empowerment. Power point of the good practice is produced and available HERE. Turning life event in a personal success and possibility for young Roma women SOCA Slovenia Urbane brazde: European project for equal rights and sustainable development. Jasmina Ahmetaj is a Roma woman, Roma activist from Slovenia, Maribor. She works as an publicist, in organization of learning support for Roma academic club and she is presenter of Roma community. She was also active in Urbane brazde, European project. Her aim was to write her true personal story, novel about Roma girl, who is determined by her Roma destiny – kismet. As a 16-year old woman she helped to plan her own Roma wedding and went to different country to start her new life. Her story, Dekle z bonbon (Girl with Cany) is an anthropologic-ethnologic study about life of Roma people, but style of writing is youthful and naïve. Plot is in Slovenian city, Maribor, where she grows up with her parents and sisters, with prohibition to date men, especially Slovenian man. She was rebel and she starts to tangle in a net of relationships, two different cultures, two different boys and 2 different perspectives. But aim of her story is not just for her personal confession, but also call for changes, to break the silence, to declare experience and right of random Roma teenager, who were for so long hidden. It is first novel, which speaks directly about Roma culture, traditions, habits, rituals and things that are taken for granted. Not only from perspective of a girl, who wants for us to know her world, in which she is trapped, but also from perspective child, teenager, who wishes that our and her world would be closer, that differentiation between two cultures would be less painful and hard. Jasmina is carrying her story also to other Roma women, that their voice would not be silent anymore. Her testimony is first testimony of any Roma girl. More about the action can be found HERE. Kali program ENLACE Spain The Kali Program is a program of insertion partner-labor gypsy women,trate the approach of gender and of social integration of disadvantaged collective. Its has designed.in the first phase of the program, aroute training occupational adapted to the needs and to the profile of women that have participated in the program as well as to demands real of companies of the area.This itinerary has contained a transverse training session( 850 hours) related to needs of this collective (orientation and family planning, access to school graduate, education of children, role of the woman in the gypsy society, self-esteem) and a course of bakery and pastry artisan of 150 hours.In a second phase,the formativo itinerary has been completed with a period of practices in the selected companies (100 hours).This phase has been coordinated and supervised by the tutor of practices,to ensure that the knowledge learned in the formative phase were applled and were developed according to the conditions marked in the agreement of collaboration signed with these companies.In the Kali Program has been fundamentally the excellent coordination between the public local entities, the students participating and the companies collaborating.These companies have been selected to the home of the program,through tolos designed by the technical Team,establishing through an agreement of collaboration them conditions of your participation in the program,as well as the possibility of the later inclusion profesional of students.In 2001 is takes the decisión of making the Kali Program.It has been a collaboration agreement between the Provincial Delegation of Cordova,Institute Woman,Gypsy women associations and local authorities.Presentation and dissemination of the Kali Program to students selectedand to their families,representatives institutional and social and economic agents of thr area.Development of a program training scheduled.Realization of practical profesional in the companies.The “ Jornadas and closing Kali” is celebrated in 2002.Presentation of conclusion and findings and method of work. Knowledge of others experiences. Delivery of diploma to students. Power point of the good practice is prepared and available HERE. Making it work: Tackling wordlessness through integral approach in Bizkaia FFE Spain The action is presenting a project with kale for kayak (Roma NGO) to contribute to the employability of unemployed young Roma women in Basque Country (in the villages with the highest rate of unemployment) through a personalized and integral service for employment and training. A1. Select 12 young women unemployed roma not employed or integrated in training. A2. Intermediation, accompaniment and advice on different educational and / or training alternatives that are adapted to the users. A3. Individualized orientation and according to the individual characteristics of the participants in the Insertion Plan. A4. Dissemination, sensitization and recruitment of companies committed to the Plan. TO 5. Development of key skills for employability (group technical training). A6. Intermediation, work support and hiring aids Power point of the good practice is prepared and available HERE. National Report on labour and social inclusion of Roma people in Italy FLM Italy The “National Report on labour and social inclusion of Roma people in Italy”, drafted and published within the framework of the project: “EU Inclusive – Exchange of information and good practices on the integration of the Roma population in Romania, Bulgaria, Italy and Spain”, aims at providing an accurate representation of the current situation of the Roma minority and the extent of its social inclusion in Italy. Data from the research carried out in Italy, together with that from Bulgaria, Romania and Spain, will form part of one of the largest comparative databases on Roma issues at a European level, as well as representing a useful and important instrument for the development of public policies in the EU. Power point of the good practice is prepared and available HERE. EQUAL Project (Andalusia, Spain) Florida Universiteria Spain The EQUAL Project has been selected as an example of good practices regarding the labour insertion of population at risk of social and labour exclusion (this presentation will focus on its implementation in the region of Andalusia, Spain). 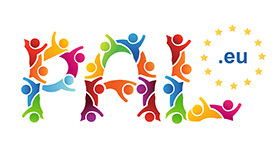 The EQUAL is a Community Initiative for Human Resources aimed at promoting new methods of fighting all forms of discrimination and inequality that are generated in relation to the labour market (in a context of transnational cooperation). More about the action plan is available HERE. Power point of the good practice is prepared and available HERE. Competence Balance – Career counselling methodology & tools for ROMA people IED Greece With 10 to 12 million members, Roma are the biggest ethnic minority in Europe. A relevant reason for their permanent discrimination is their low education level. Due to that the disadvantages are especially obvious in the education sector. A real segregation exists. Of course, actual education deficits, discrimination, prejudices and clichés of the majority population as well as missing motivation, self-chosen isolation and the lack of self-knowledge of Roma are responsible for their limited access to education and employment. A large threshold for the access to education and employment, however, is the missing prove of their informally and non-formally acquired competences. Therefore, the re-cording, assessment and acknowledgment of those competences of Roma are the center of our project. This way it will contribute to the implementation of the national Roma Integration Strategies in the partner countries as part of the Europe 2020 Strategy, particularly to the increasing of the employment rate and the reduction of the threat of poverty of Roma. “ROMANO HAPE – Not only Roma foods” Consorzio Innopolis Italy Romano Hape is a new youth enterprise funded by five Roma youngsters living in Rome (Italy). Romano Hape works in the field of Roma foods catering and aims at the enhancement of specific culinary tradition. By using a camper established for travelling catering, Romano Hape offers typical foods – both Roma and not Roma…Owners are 3 men and 2 women, they are aged between 20 and 23 years. ( http://www.giovani2g.it ). This is an additional element of interest because it demonstrates the ability of Roma people to get included in the circuit of public funding. Romano Hape has developed closer ties with local social context and the world of grassroots associations (in particulary with Romà Onlus association) that helped the start up More about the action plan is available HERE. Power point of the good practice is prepared and available HERE. (unemployed people, Roma, foreigners, refugees, immigrants) and public services. “Skitali” took part in the project “JUSTROM” funded by the European Commission and the Council of Europe. The project was about to raise awareness on Roma women’s rights, who lived under bad conditions, both in their social and family environment. More about the action plan is available HERE. Power point of the good practice is prepared and available HERE. In a decision adopted on 27 June 2011, the City of Strasbourg decided to set up a temporary living space where some twenty Romanian Roma families can live to help them to integrate mainstream society. This operation is being managed by the City authorities, which have set up a welfare assistance team made up of members of the Directorate of Solidarities and Health and representatives of partner associations, all taking part in a project for the general benefit of society. “Espace 16” is situated on municipal land in the heart of the City (close to the railway station) with easy access to public transport, services and other amenities necessary for integrating these families. It comprises 26 caravans and buildings, providing toilets, showers, washing machines and a meeting room. More about the good practice is available HERE. ESF PROJECT : GUIDANCE ROMA SRDA Belgium The ESF project is shaped from a collaboration between the Flemish Community Centre – FCC (Vlaamse Gemeenschapscommissie) and Foyer vzw, Roma and Travellers service. Policy coordination and administrative monitoring of the project is coordinated by the FCC administration (Urban policy department). Operational coordination in the field is managed by Foyer vzw. More about the action plan is available HERE. Power point of the good practice is prepared and available HERE. The Museum of Romani Culture (Muzeum romské kultury) House of National Minorities Czech Republic The Museum of Romani Culture was establisted in 1991 as a non-profit organisation at the initiative of Roma intellectuals. Since 2005, the Museum of Romani Culture has become a state contributory organization of Ministry of Culture. It is an unique institution worldwide. Since the beginning, the Museum has primarily sought to build collection funds (up to now 25 000 collection items) documenting the Romani culture and history. Today it administers the funds of traditional crafts and professions, types of dwellings, interior furnishings, clothing and jewellery, fine arts, written materials, posters and invitations, audio, photo and video documentation, library, echoes of the Romani culture in the culture of the major society and the auto-documentation fund of the Museum. The original historical items – part of the collection are presented in the permanent exhibition called The Story of the Roma / Le Romengero drom. Apart from the permanent exhibition, the Museum offers a wide range of temporary exhibitions to the public. It also organizes a number of other public events – the annual Museum Night, lectures and meetings, film evenings, fashion shows, concerts or books promotions and sales of music of its own production (not only), etc. There is library and the study room in the Museum available to the researchers. Besides all of those the Museum runs the Museum Kids Club that offers a programme to children from the neighbourhood of the Museum several days of the week; school children and youth can visit animation programmes. The Museum staff consist of 22 employes, half of them Roma usually with hight school or university degree which makes the institution one of the biggest employers of educated Roma in the Czech Republic. More information is available HERE. Integrom Program – Hungary UCCU Hungary The Integrom program is building bridges between skilled Roma young people and corporations by offering them the possibility to join the workforce of the companies and build their carriers within these. – Connecting the employees with applicants. – Mentoring the employed participants during the integration period. The program was founded in 2014 by the Boston Consulting Group, a strategical consultancy company, who is still the leader of the program. Since the beginning more than 100 young Roma participated, out of which 18 found employment at partner corporations. In the implementation of the project they work with many corporate partners and civil associations continuously. More than 20 Hungarian corporation is helping the application procedure of young Roma job-seekers, and offer them employment opportunities. Integrom is working together with many civil society organizations in order to reach out to those young Roma, who can benefit from the program. More about the action plan is available HERE. Power point of the good practice is prepared and available HERE . The lasting necessity to employ new people made the employer formalize the hiring process which eliminates the risk of discrimination from the part of the human resources personnel. The ban of discrimination is mentioned explicitly in the basic regulations of the company. Power point of the good practice is prepared and available HERE .